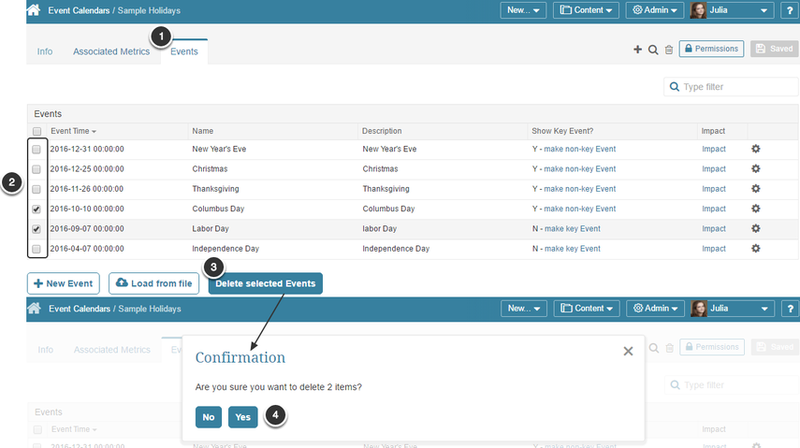 An Administrator or an Event Calendar's Owner can delete Events in it. IMPORTANT: If you delete an Event, it is removed from the system completely and will no longer be visible on any Chart. Click Delete Event. NOTE: If you do not see this option, you are not the Event Owner or an Administrator and you have no permission to delete it.